To see why Trump’s move is so extraordinary, you have to understand that the recognition of “Jerusalem” as Israel’s capital amounts to a recognition of Israel’s unilateral annexation of east Jerusalem — and its subsequent expansion of the Jerusalem municipality. From the standpoint of producing Middle East peace, President Donald Trump’s decision to recognize Jerusalem as the capital of Israel in a speech Wednesday can only be called irrational. It raises the risk of Palestinian violence that could derail peace efforts by his son-in-law, Jared Kushner. It makes it harder for crucial U.S. allies like the Saudis to side with Trump and push the Palestinians to a deal. It won’t make Israel feel more secure. And it will hearten right-wingers in the U.S. and Israel whose endgame is actually to avoid a two-state solution. Yet there is one possible silver lining to the coming storm — a consequence of the decision that may affect the calculus of the peace process more positively. Trump, intentionally or not, is signaling to all concerned that he is unafraid of backing Israel in ways that go further than the traditional pro-Israel U.S. stance. That’s a huge threat to the Palestinians — if peace talks fail, Trump could be prepared to support Israeli annexation of more of the West Bank. And it’s an implicit promise to the Israelis that also contains an implicit threat: Given how generous Trump is being to Israel, its leaders had better agree to whatever deal Trump will seek to impose on them — or else. “Official American neutrality on Jerusalem has not stopped Palestinian leaders from exercising a riot veto before. Indeed, neutrality has created a moral hazard,” writes columnist Eli Lake in support of President Donald Trump’s decision to recognize Jerusalem as the capital of Israel. To see why Trump’s move is so extraordinary, you have to understand that the recognition of “Jerusalem” as Israel’s capital amounts to a recognition of Israel’s unilateral annexation of east Jerusalem — and its subsequent expansion of the Jerusalem municipality far beyond the cities’ traditional limits to include multiple Palestinian villages and newly built Jewish neighborhoods. If recognizing Jerusalem as the capital only meant acknowledging that the Knesset and the rest of Israel’s governing institutions are there, it wouldn’t be quite so big a deal. They’ve been in the western part of the city since Israel’s independence in 1948. Countries presumably have the right to choose any city they want as their capital. And no one realistically thinks that West Jerusalem shouldn’t be part of Israel under a final status agreement. The tricky part is that, since 1967, Israel has considered East and West Jerusalem to be a single, unified city, at least as a legal matter. (Lots of differences exist on the ground.) The act of annexing Jordanian territory into Israel has not been recognized by the international community, including the U.S. 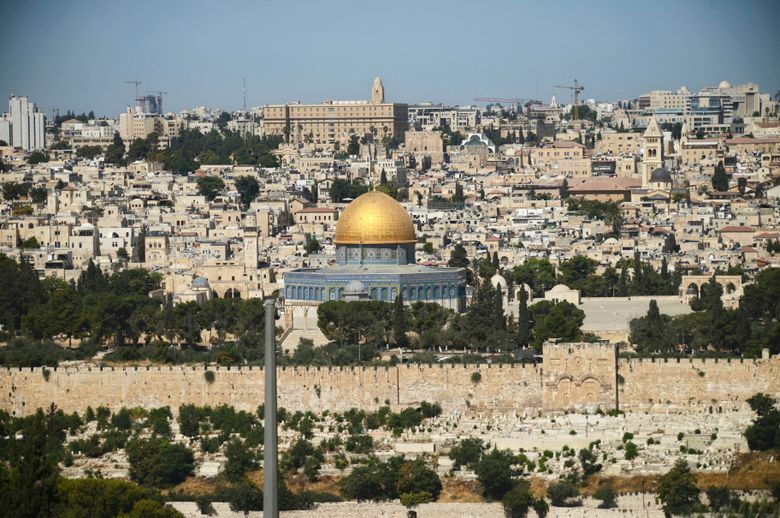 Although recognizing Jerusalem as Israel’s capital doesn’t necessarily entail formal recognition of Israeli annexation of east Jerusalem, it certainly suggests that the Trump administration is willing to come very close — far closer than any prior U.S. administration. That carries meaning for the Palestinian and Israeli negotiators alike. It hints that Trump is willing to threaten the Palestinians with endorsement of Israeli annexation of more Palestinian territory — a nightmare from the Palestinian perspective. The fact that Trump is so blatantly pro-Israel suggests that the Palestinians had better bend over backward to accept whatever deal is on offer, lest the consequences be dire. And let’s be honest: That’s the only way a peace deal is going to happen. Of course the U.S. will insist that it is merely an honest broker. But to get the Israelis and the Palestinians to yes is going to require strong-arming both sides, probably more than once. The Palestinians will have to be told that they must accept a deal no better, and likely a bit worse, than Yasser Arafat turned down in 2000 at Camp David. The Saudis can help make that happen, but in the end, there will have to be a credible threat that if the Palestinians say no, they might lose even the quasi-sovereignty they have now over parts of Palestine. As for the Israelis, Prime Minister Benjamin Netanyahu can reliably be counted on to say that his coalition won’t let him take any deal at all. Kushner and his team know that, of course. They wouldn’t be in the negotiating game at all if they weren’t planning ways to tell him that he has no choice — that he must deliver or else. The basis for the secret threat to Netanyahu will have to be that, as the most nakedly pro-Israel president ever, Trump has the clout to blame Netanyahu if he is truly responsible for the breakdown of the deal. Trump can say what no other president could: that the world, including pro-Israel American Jews, will believe him if he says Netanyahu is the problem and that he should no longer be prime minister. Trump could even credibly threaten that U.S. support for Israel would be substantially reduced in the future if Netanyahu blinks. Remember: America first, which means Trump first, is perhaps the only principle that can trump Trump’s pro-Israel approach. Israel will need to remember it, too. The Israelis have gotten the recognition they wanted. Now they will have to pay for it, one way or another. Noah Feldman is a Bloomberg View columnist. He is a professor of constitutional and international law at Harvard University and was a clerk to U.S. Supreme Court Justice David Souter.